Nexstar Media Group and Tegna Inc. continue the parade of big TV station groups registering large political advertising gains in the third quarter -- all as their respective core-advertising revenues fell. Nexstar’s political revenue climbed $70.1 million from $7.2 million versus the third quarter of 2017. 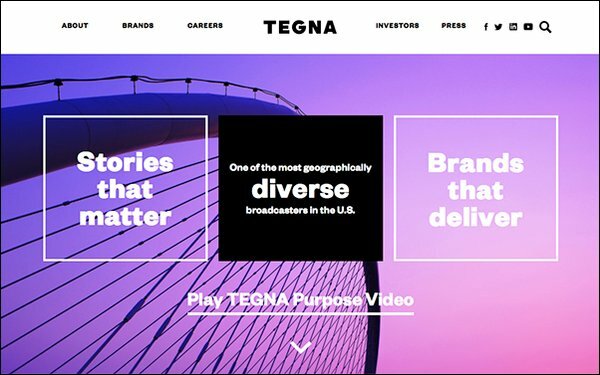 Tegna registered $60 million, up from $3.8 million. Tegna now expects what it says will be record-breaking political advertising results -- $238 million for the full year, up 50% from the last midterms. All this is up from prior company estimates of $180 million to $200 million. It also expects $144 million in the fourth quarter, up 56% from the previous midterms. The downside for both TV station groups is with lower core non-political advertising -- which generally gets pushed out of media schedules in favor of virtually all-must-run political advertising. Nexstar reported that local ad revenue sank 4.1% to $189.4 million, while national ad revenue sank 5.8% to $71.6 million. Tegna says its advertising and marketing services revenue -- which includes traditional, digital ad business -- was down 5% in the quarter due to this. Earlier this week, Sinclair Broadcast Group also reported higher political advertising and lower core advertising -- also due to displacement by political media schedules. Overall revenue grew for Nexstart and Tegna, due to political ad gains as well as retransmission fees. Nexstar had a 10.4% gain in retransmission revenue to $284.3 million, while Tegna’s subscription revenue grew 17% to $207.5 million. Company-wide quarterly revenues saw Nexstar rising 13.3% to $693.0 million, while Tegna was up 16% to $539 million. Nexstar's net income was up 137% to $99.8 million. Tegna's rising net income from continuing operations was 77% higher to $87.4 million. Nexstar says its total digital revenue in the period climbed 25% to $69.3 million. Tegna’s OTT advertising service, Premion, is on pace to achieve full-year revenue guidance of $75 million, excluding political revenue. Mid-day stock market trading of Nexstar was down 1.4% to $82.03, while Tegna dipped 1.6% to $12.30.